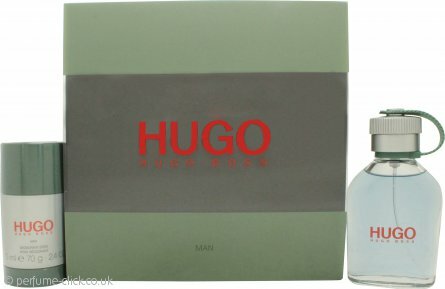 Hugo by Hugo Boss is a fresh and aromatic fragrance for men. Hugo features green opening accords of lavender, green apple, mint, grapefruit and basil are followed by a floral middle notes of carnation, sage, geranium and jasmine on a woody base of patchouli, fir and cedar. This is one of Hugo Boss’s most successful fragrances for men, a timeless fresh scent with an excellent longevity that works really well in warmer weather. It comes in the iconic flask-shaped bottle, which has been used again in later Boss scents including hits like “Hugo Extreme” and “Hugo Red”. Hugo was launched by Hugo Boss in 1995. Great company to deal with, efficient and prices are very competitive. Will shop with them again and recommend to everyone.